Middle school, blood moons, and naked?! Before I had to pick Noah up from middle school for the first time, I tried so hard to make it simple for him. I was concerned he wouldn’t see me and wouldn’t know what to do. I didn’t want him to worry or to have trouble finding me, so I showed him the parking lot I would be parked in ahead of time, and made sure to get there way early so he wouldn’t be left wandering around thinking I had forgotten him. I also prayed for him constantly during the day, that God would calm any fears he had about it. You can probably guess that it turned out just fine. 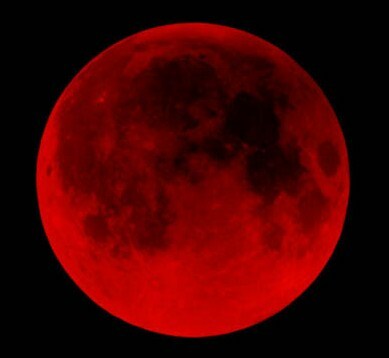 This week there was lots of talk of the Blood Moon, which reminded me to write this blog. I used to get so nervous and anxious when there was any talk about Jesus’ return, the last days, end of the world, etc. Even as an adult. While I feel very confident of my relationship with God, there is something about the unknown. That’s how I’ve always felt about the end of the world. Not knowing how or when it will happen seems so scary. Here’s a brief list of things I fear regarding the subject… terrifying things like the idea of the being tortured for knowing Christ, starvation, not making it to heaven, Or Jesus coming back for us while I’m in the shower… Do I go naked? Do we all go naked? So one day as I was mentally panicking about all of these things, God calmed my heart. He reminded me of how much I care about and love Noah. He reminded me that I did everything I possibly could to make picking Noah up as easy as possible for him. I parked where I said I would, I was there on time, I was looking for him and was prepared to hop out of the car to flag him down if he didn’t see me. If I did all of this for Noah, why would I think I have anything to fear when my Jesus comes back for me, or when I go to meet Him? Regardless of how it happens, God, who loves us more than we could ever love anyone, will not leave us alone. Whatever we will go through, we won’t be facing it by ourselves. The Creator of everything will be right beside us. If that doesn’t bring me comfort, what can? Bring it on, Revelation and CNN… bring it on… I’m gonna sleep like a baby.